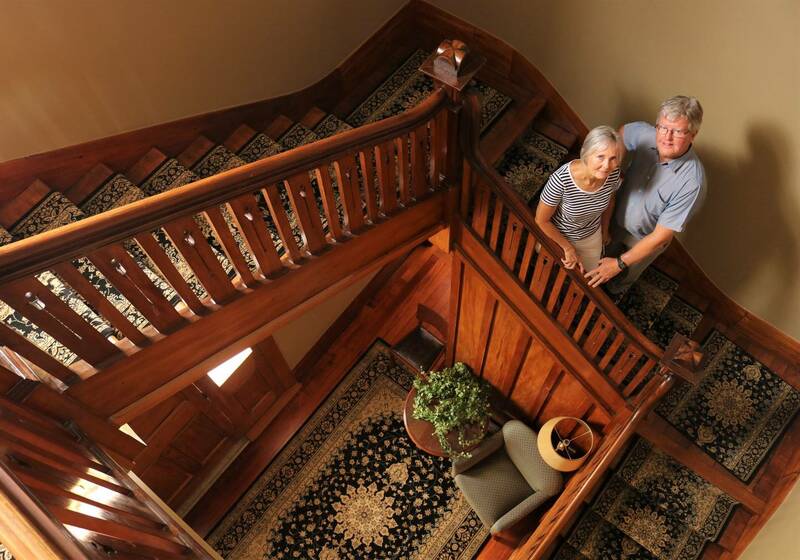 A Northland couple didn’t want Kaikohe to lose another of its grand old buildings — so they gave up a quiet retirement and sank almost $2 million into its restoration. The BNZ building, built in 1916 on the corner of Broadway and Park Rd, seemed doomed to fall into ruin when the bank moved to new premises rather than stump up the huge cost of earthquake strengthening. It was bought in June 2016 by accountant Jack Poutsma and Di Maxwell, a former district councillor and graphic design company owner, who have spent the past two and a half years turning it into a hotel, backpackers and cafe/restaurant. The couple live in Kapiro, north of Waipapa, but both grew up in Kaikohe.